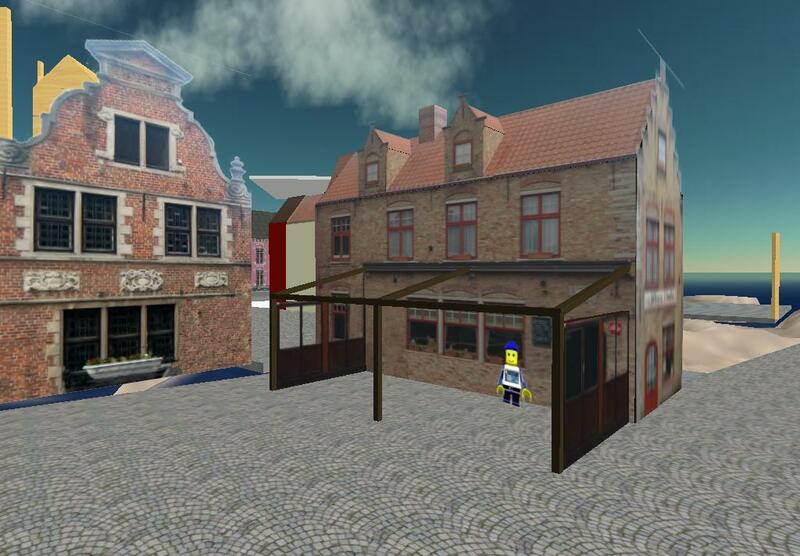 Second Life is getting busy. Many new sims and companies from all over the world. Sometimes it looks like some countries are lagging. This seems true for the UK and Belgium, with very few companies and 'official' sims compared to the number of Brits and Belgians active in and blogging on Second Life. The Belgians are getting upto speed though, SL-wise. 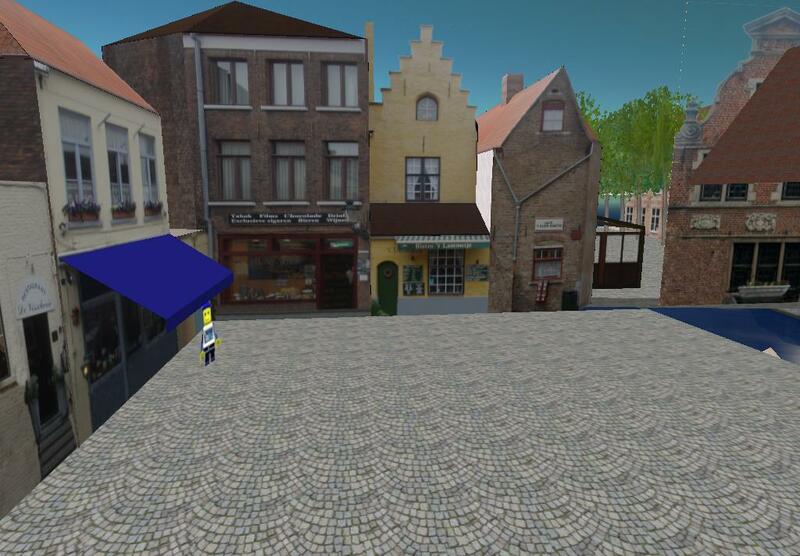 Last month I blogged Belgacom as one of the first major Belgian companies to arrive in Second Life and last weekend I've blogged on the Brussel sim. 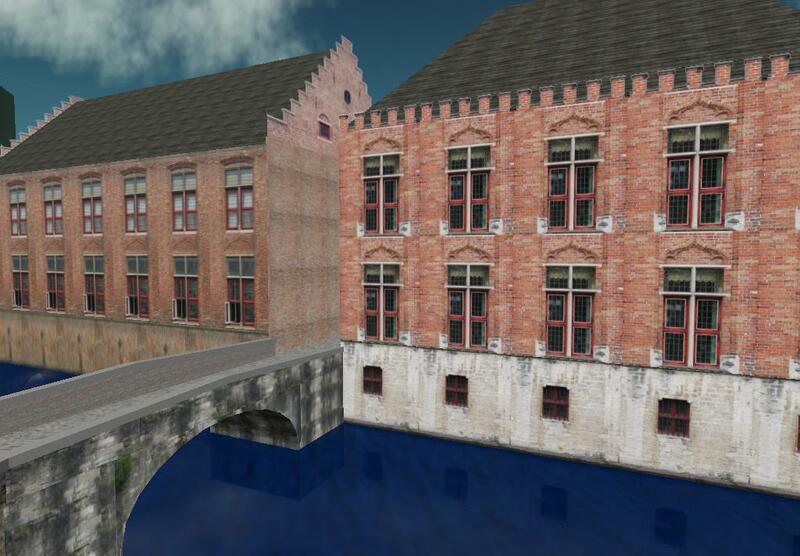 Today's Brugge time. 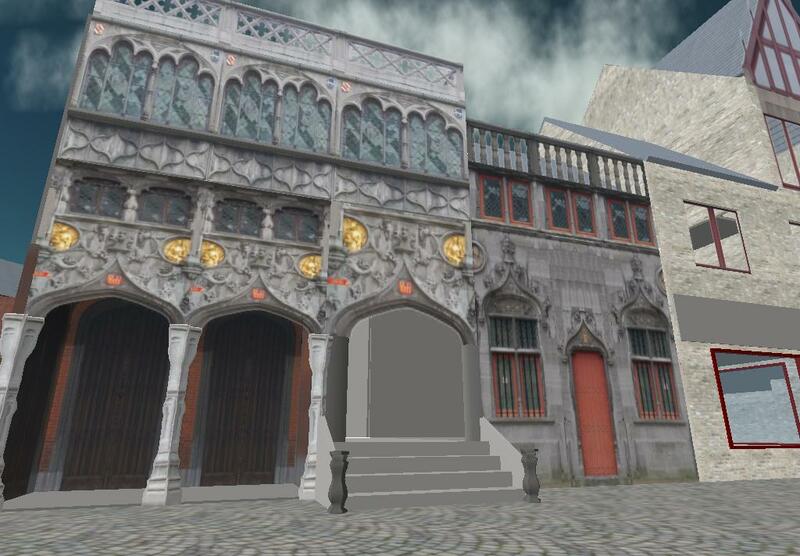 Here are some snapshots, taken by Pieter Bosch of the SecondLife Crew blog, an excellent Belgian SL-blog. 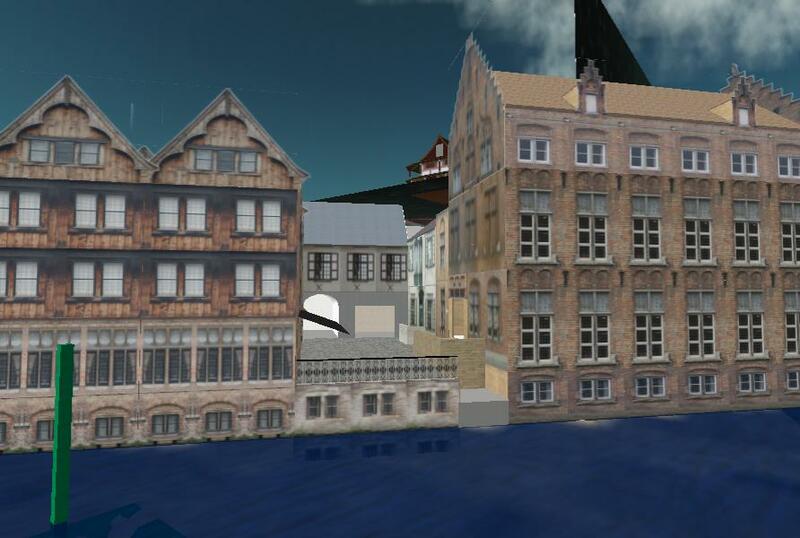 The city of Brugge is still under construction, being build by Belgian content creators Metacon. 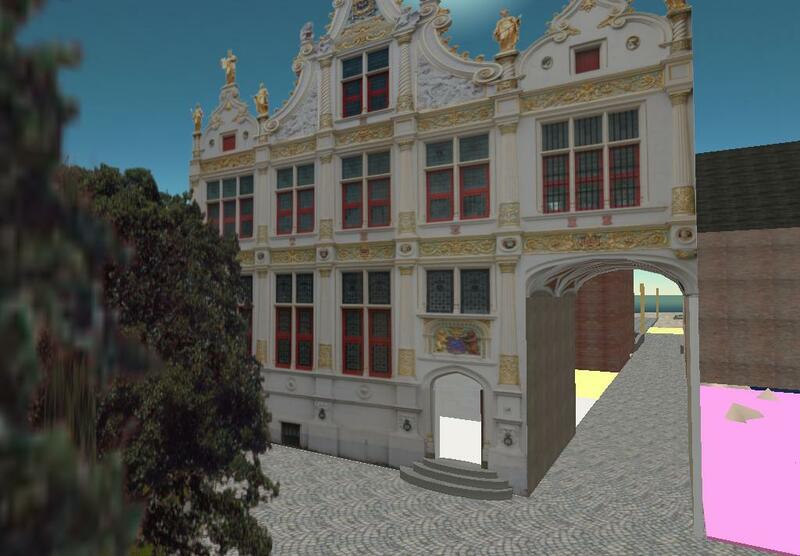 I've seen more and more professional content creators build Real Life cities as a promotional and community creation platform, and indeed this sim is aimed at creating a Belgian community and will be a mix of commercial and residential buildings.